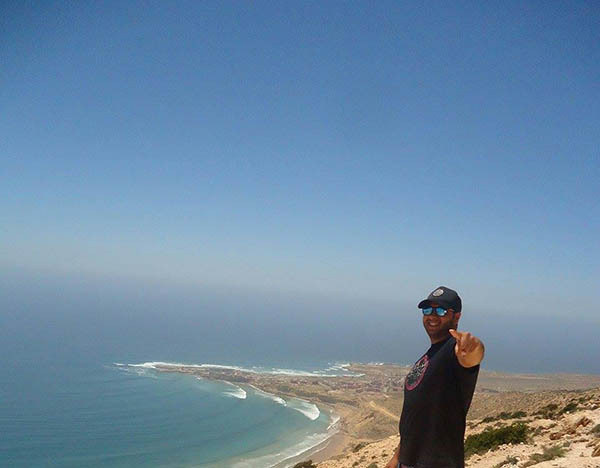 Surfing Morocco – with Boon Tamsna. 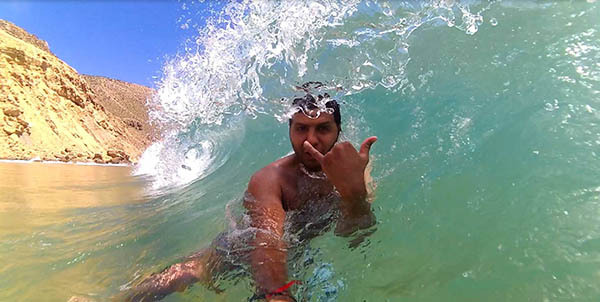 Meet Boon Tamsna, a enthusiastic surf photographer and true friend of the sea. Boon talks us through how he came to love the ocean and the art of surfing. Why did you start with surf photography? What inspired you? The things that inspired me, including the waves, were how to spin and fall and such things – and I also love to take pictures of surfers because they contribute to the beauty of the waves – they are such a good example of synergy. Tell us about yourself and your relation to surfing. My name is Mohammed and I am 29 years old. I live in Morocco tourist country and coastal work baker. I love photography and to ride the waves and my ambition is to be a good photographer and to bring a good message to the people from the sea and such aesthetic landscapes. Where can our readers follow you and see more of your pictures? – Boon: I have a page on Facebook where you guys can see my work. It’s here. Releasing the Surfer Innate – with Sebastian Ewaldh. Meet Sebastian Ewaldh, a spiritual swede devoted to surfing and chiropractic. Sebastian talks us through how he combines the two in the best possible manner. Tell us a little bit about yourself and your relationship to surfing. I’m 25 years old and born in the southern part of Sweden. However, the last 4 years I’ve been living in Spain whilst studying Chiropractic in Barcelona. I started with surfing the summer of 2013, which was a year and a half after my father passed away. I’m quite a spiritual person and surfing is a very spiritual sport so for me it just clicked the moment I tried it. Also, it took my mind in new directions and helped free me to work on the loss of my father. It’s a really beautiful sport. There is nothing better than paddling out and just hearing the sound of a light offshore wind and the waves breaking. At those moments I sense a powerful connection with nature. I feel at peace with my surrounds, which is missing for many of us today because we live in such a very mechanical world. 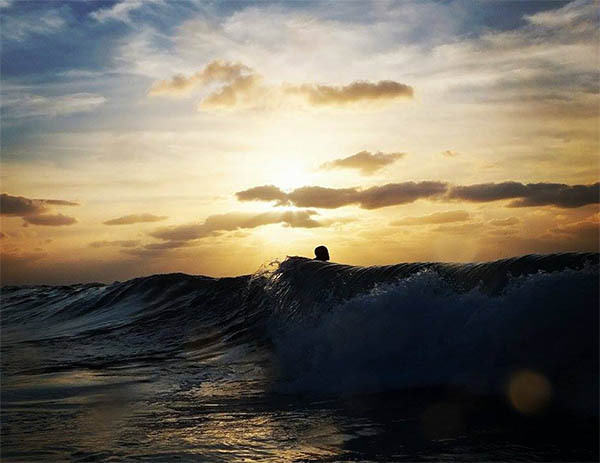 The water has always been my second home so when I discovered surfing and caught my first wave it felt like I had found my way home……..I was embraced by a sense of calmness within. So, soon you’ll be a chiropractor? Congratulations. Great profession that helps so many. What do you look forward to the most about graduating as a chiropractor? -Sebastian: Thank you, Yes I have to successfully complete my thesis and a clinic exit examination and then I’m a chiropractor. Yes it’s a great profession and I was lucky enough to get into a college of chiropractic that teaches it’s students to work with the body’s incredible inborn intelligence…..the Barcelona Collage Of Chiropractic (www.bcchiropractic.es). I mostly look forward to having the opportunity to help people and educate them about chiropractic, about what we do and what we don’t do. I find people often have a narrow understanding of what is chiropractic. People think its only about back pain, shoulder pain, neck pain and so on. It does help with those conditions, but chiropractic is really about allowing each human being to express 100% life without any interference in the body. The brain controls everything by sending impulses across the nervous system to organs, muscles and cells. Then those areas send signals back up to the brain. Its like a feedback loop that runs the body……..without it we cannot function well. The demand for chiropractic is extensive given that we all have a spine and that research suggests that most people have problems with it on a regular basis. As a result, there are work opportunities for well trained chiropractors in most countries around the world. How do you link surfing and chiropractic? Is there a sacred bond between the two? To me, surfing and Chiropractic share, at their core, a very spiritual essence. Both are built on a fundamental respect and connection with nature. Both give birth to a set of principles and beliefs that shape the way one lives and interacts with nature. For me their exists a degree of synergy betwen the two. Historically both also have some things in common. Both have roots outside of mainstream thinking and both have existed almost as countercultures during their early phases of development. I like to be a bit of a rebel and go against the norm so for me they are both a good fit. As already mentioned, I find that getting adjusted regularly helps improve my overall wellbeing, not just my surfing ability. I know others who find the same to be true. When well adjusted, a surfer tends to become extra loose on the turns. This is certainly the experience of Christoffer Hartknopp who also notes that his concentration is better and that his body functions better overall. In addirtion there are many full-time sportsmen and women who now use chiropractic care to improve their preformance in a diversity of sports. We happened to see a post where you were out surfing with the super stoked Christoffer Hartkopp – how do the two of you know each other? 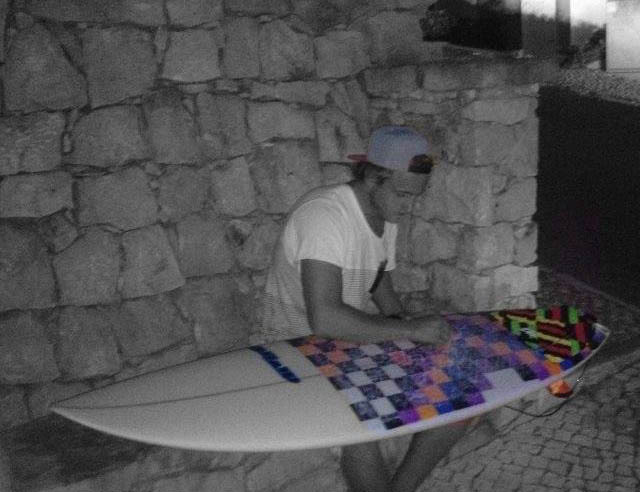 – Sebastian: We met when I first started to surf in the summer of 2013 at Lapoint surfcamp in Ericeira, Portugal. We went for a few surfs together and he was kind enough to give me some tips, which helped me to improve my surfing. I started checking his spine at that time and we have stayed in contact ever since. Now, everytime we cross paths we try to get in the water and have a surf together, The guy is super fun to surf with, he’s always happy and gives off a good vibe in the water. What is your favorite surf location? – Sebastian: I have to say Ericeira, Portugal, The location is so nice and it has so many different types of waves. If by chance Ericeira isn’t working it’s only about one hour drive to Peniche and 40 minutes to Cascais where you can find great waves most of the time depending on the swell and wind direction. What is your favorite piece of surfing literature? – Sebastian: Hahaha…….to be honest I don’t really have one. With reading all the Chiropractic related philosophy and research its hard to squeeze in surfing literature as well. I guess I will have to catch up on that after I graduate. Do you see yourself working with both surfing and chiropractic – combining the two? – Sebastian: That’s my vision for the future. I want to move to Portugal after I finish my studies and since i now speak Spanish and already understand a lot of Portugeuse. I plan to open a clinic in Portugal and combine surfing and Chiropractic. It’s my dream to be able to contribute to society by promoting healthy living and by raising people’s awareness of health and wellbeing and surfing fits perfectly into that spectrum. Surfing Central America With Brandon Todd and RCS crew. Surfing Central America With Brandon Todd and the RCS crew. Brand Todd and the Rovercamsurf crew tearing apart waves on a daily basis in Central America. Check out this great compilation of their surf highlights. The movie utilizes high-end surf techniques such as aerials and razor-sharp cutbacks. The video is created by Brandon Todd, so be sure to follow him and check out the rest of the movies. Like this? Check out Brandon Todd in Costa Rica! Soul Board – where Soul meets Board. The Soul Board documentary is a journey into shaping. How traditions shape us and carry into the future; how surfing shapes us; how we are shaped by cultures. It’s the journey of a board touching different souls. Tell us a little bit about the Soul Board project. My name’s Armando Costantino, and I’m an Italian film director. I’ve been following my two passions: filming and traveling while living on the European road for the last 3 years with my wife. We’re digital nomads (we work online as we travel in our Westfalia, to pay for expenses), and when we recently had the chance to visit the Longboard Surf Festival in Salinas, we jumped at it. I’d just started surfing and I was hooked. I met a surfboard crafter, Rafa, who I immediately connected with. People who are passionate- who love- what they do- are electric for me. He told me about his surfboard shaping history, learning the craft from his grandfather, how much he loves the process and the inspiration. He inspired me. The more I spoke to him, the more I thought a film should- needed- to be made. Not one about crazy rip curls or the stars of surfing. A film about the soul of one surfboard’s journey. The Soul Board will be travelling around Europe – where can people meet up with you? I’ll be spending time filming and speaking with Rafa as he creates a unique surfboard just for this film, in Oviedo, Spain. From there, we’ll drive our Westfalia T4 through Spain, Portugal, Morocco and the south of France with the board, in search of surfers. Local surfers, who each have their stories to tell. We’ll ask these locals, in some of the best surf spots Europe has to offer, to try out the board and see what they think. We’d like just 6 or 7 surfers in total for the film, of various ages and cultures. During this journey, I’ll try to capture the essence of what surfing means to a lot of diverse people. I’ll challenge myself, also, with attempting to increase my own surfing skills (I’m a filmmaker, not a professional surfer) as part of my own journey. The end product: a film we’ll send to surf film festivals, starting in the autumn of 2016 and continuing through spring/summer (when most festivals are held) 2017. Going extreme with the Extreme Trip app. David Avni is the main behind Extreme Trip – which is an app that lets you find venues for extreme sports with ease. No more scuffing around without finding a cool place to skate, snowboard or surf. 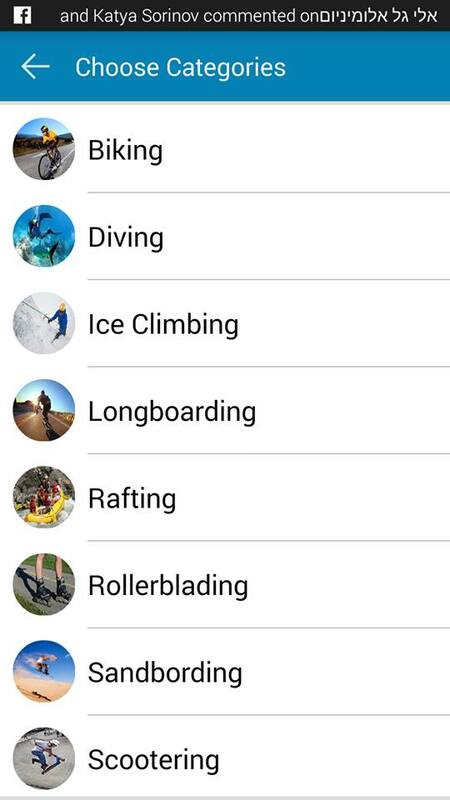 This app is quite useful and might be really handy for any extreme sports practicioner. Tell us a little bit about the Extreme Trip app. The extreme trip is a social network for you extreme visited place, If person visited some new extreme place then he can register that place on map and add photos, reviews and rating to particular place and also able to show all registered places. You can create a trip and to get a map with all the places on the way. All places get to admin for review before they upload to app we don’t want junk in the app. The app is in 6 language you have a menu in the side that in it you can see or change your profile change language see all recent add place and search place by category. Who will benefit from Extreme Trip? 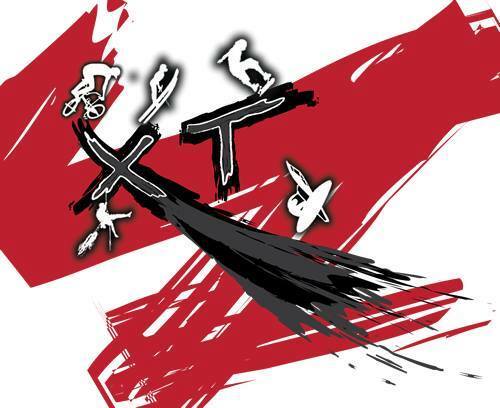 All extreme people will benefit for it I am an old skater and extreme is in my blood. The app is free to use and it will stay free. Only store and club of skate or surf if they want to be in the app will need to pay. Where can our readers learn more about Extreme Trip? Surfing Sao Miguel Island, Azores – with Miguel Tomas. 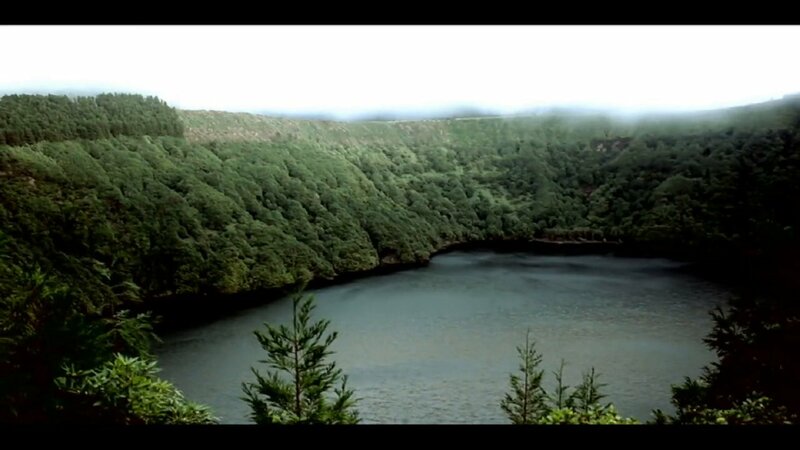 The Sao Miguel Island is a beautiful place. Even more so when captured through Miguel Tomas and his girlfriend’s creative filming. Miguel and his girlfriend (we presume) spent 9 fantastic days in Sao Miguel Island, Azores, looking for waves and enjoying the fine nature. The result was their short movie entitled ‘A Z O R E S’. The movie utilizes creative film techniques such as aerial photography with a quadcopter drone. The video is created by Miguel Tomas, so be sure to follow him on vimeo and check out the rest of the movies. – A Z O R E S – from miquel tomás on Vimeo. 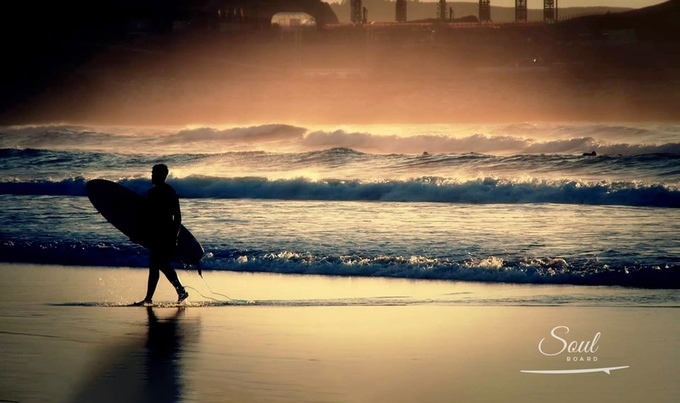 Passionate about surfing, photography, wilderness and nature.. just like you! How to time lapse with Nikon D5 – a how to time lapse guide. How to time lapse with Nikon D500 – a how to time lapse guide.